PAW Patrol Live! Race to the Rescue. 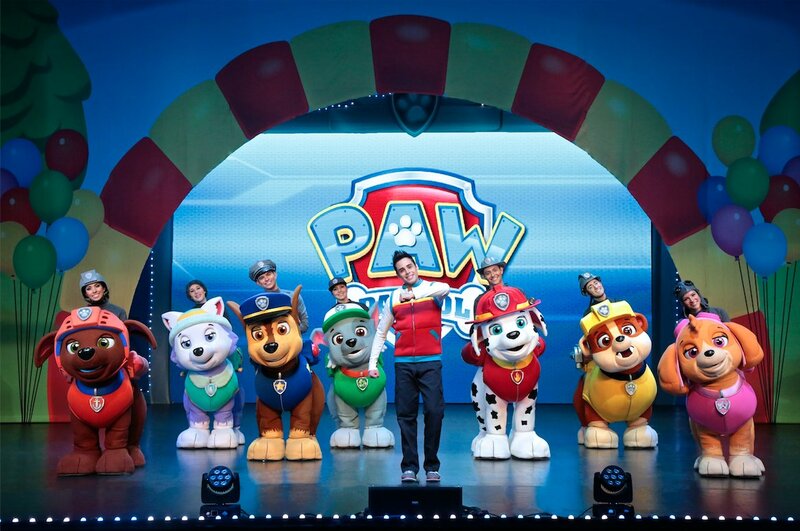 Based on the hit animated TV series on Nickelodeon produced by Spin Master, PAW Patrol Live! “Race to the Rescue” is coming to South Africa with its brand new tour, which brings everybody‘s favourite pups to the stage for an action-packed, high-energy, musical adventure. When Mayor Goodway goes missing during the day of the Great Adventure Bay Race, the pups come to the rescue. Join Ryder, Chase, Marshall, Rocky, Rubble, Zuma, Sky and Everest for the show‘s first tour in South Africa. Kids 0 – 12 months have free entry and will need to sit on parents lap. Kids 12 months and older will require a purchased ticket. All kids under the age of 16 need to be accompanied by an adult. Doors Open: Morning Show 09h30 - 11h00. Lunch show 13h00 - 14h30. Evening show 16h30 - 18h00. Tickets: R290 - Standard, R390 - Premium, R590 - VIP.